Human are not the only visitors who come to feast on the Charlevoix’s region’s bounty. The salty and clear waters St. Lawrence estuary meets the fresh and dark waters of the Sagueney Fjord, and combined with oxygenation from the cold Labrador currents, are a marine crossroads that creates an extraordinary biologically and nutrient rich environment. Krill, shrimp, and smaller fish are among the diverse food supply that attracts whales of all sizes, including humpback whales, fin whales, minke, belugas, and the world’s largest mammal, the 140 ton and nearly 100’ long blue whale. They migrate to feed along the Charlevoix coast from late May to October before returning to the sea to give birth. Charlevoix, with six species of great whales and numerous smaller ones, is one of the world’s most unique whale observation sites. 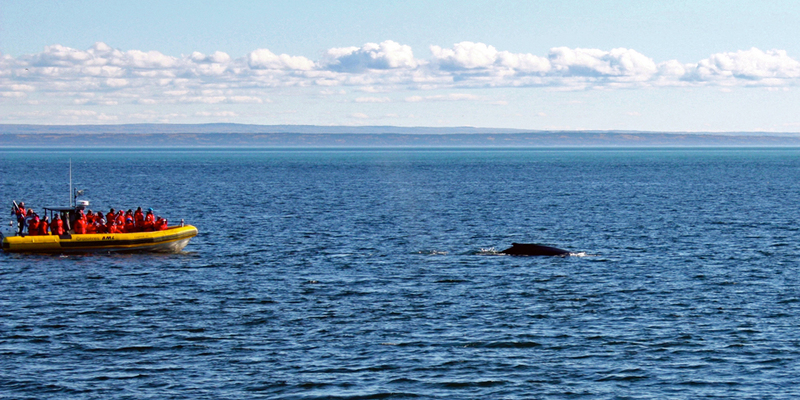 Whales can often be spotted from the shore, but nothing compares to the experience of being out in their natural habitat, the strictly-regulated conservation area known as Saguenay-St. Lawrence Marine Park. 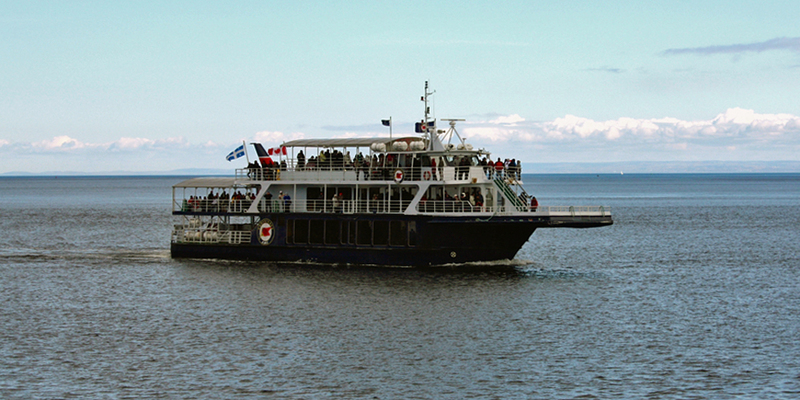 Croisières Charlevoix offers a variety of awe-inspiring tours departing from Baie Sainte-Catherine and Tadoussac. 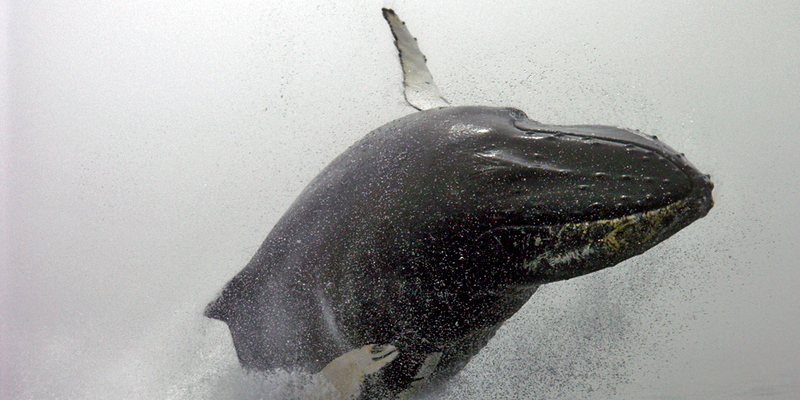 For the best opportunity to see the whales close-up, choose a certified zodiac tour. With up to twenty-four passengers, these boats maneuver quickly to provide unforgettable close-up views of these giants of the deep. 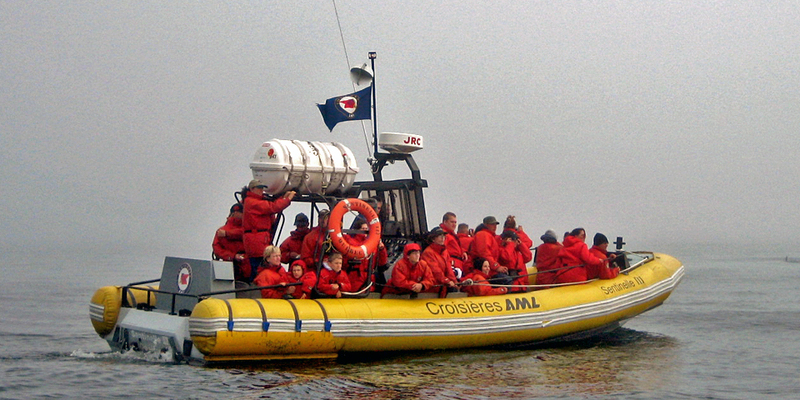 Their larger observation boats , like the Croisières AML’s three-hour tour aboard the Grand Fleuve, offer a heated glass-enclosed areas . Tours are offered May 5-September 1, 2015. This is an extraordinary opportunity with experienced nature guides who follow strict park and environmental regulations that protect the marine life in this national park. Dolphin dart by, playful seals keep a watchful eye on visitors, and a variety of sea birds bob along. But it is the sight and sounds of these gentle giants that will remain forever in your heart.